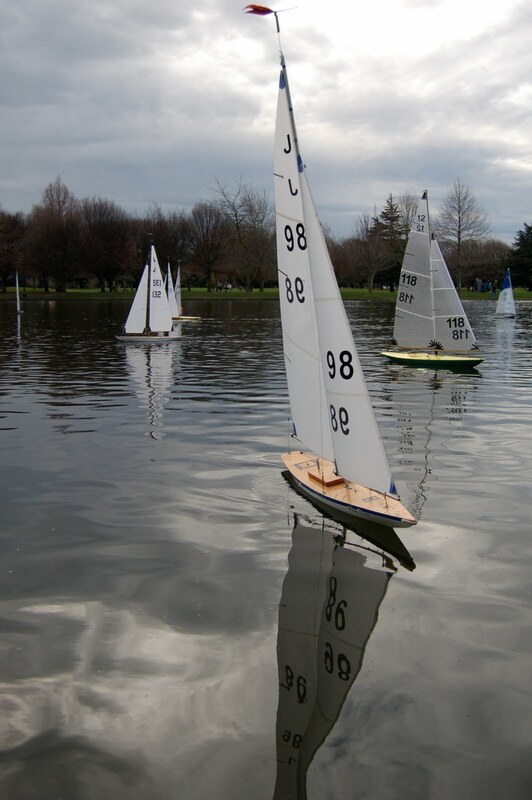 Took a bit of time out to go J Class Racing at the Christchurch Model Yacht Club on Lake Victoria in Hagley Park. A fairly big fleet with some gun old time racers involved. It was opening day today. Patrick did well. Finally feels like spring downunder. 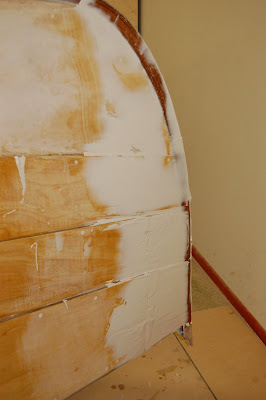 When we came home Patrick put a couple of decorative pieces on the transom while I screed on some filler on the bow section. More sanding and filling tomorrow. They go well over the duck weed and are a good One Design class in Christchurch. New sails for next week. Gluing, screwing and making a mess... No worse than dad though. Bit of fairing. Hopefully can get bow looking goood. May go for fairly pointy bow I think.